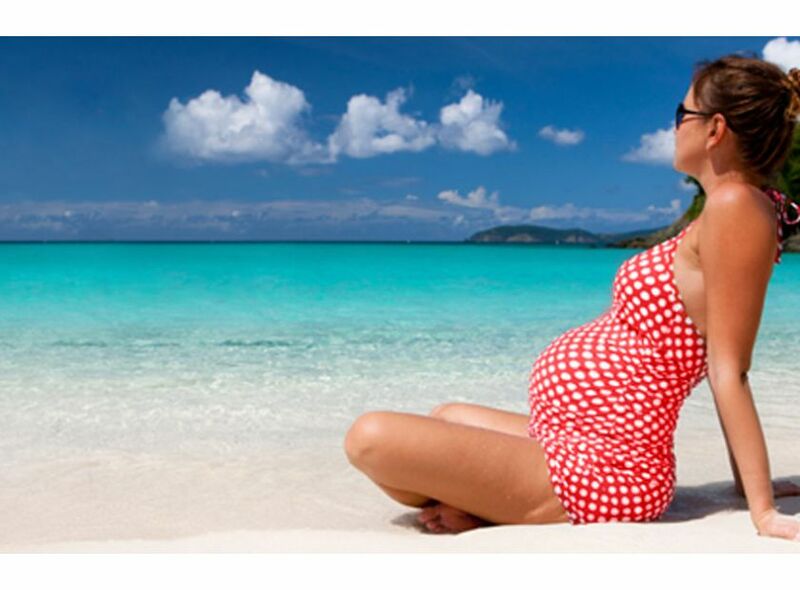 Welcome to Going on holiday during pregnancy - Maternity, Baby and Toddlers. If your pregnancy is uncomplicated you are likely to be able to travel during most of your pregnancy, but the second trimester is the most advised to take trips. In the first trimester the risk of miscarriage is higher and you might also feel nauseous. During the last trimester you can easily feel fatigue and more uncomfortable. Travelling by car, train or airplane is generally safe while you are pregnant. Choosing a closer holiday destination will easy your travel as long-distance flights and journeys can become uncomfortable during pregnancy. Longer than four hours flights also have a small risk of blood clots. So drinking plenty of water, standing up, stretching your legs and moving around regularly is very important. Using a pair of support stockings to reduce swelling can also help. Not all insurances cover for pregnancy related healthcare, so make sure your insurance will include all costs and care. It is unlikely you will need any medical attention during holiday, but it is always better to avoid risks and check what options you will have near by if you need any medical attention. Taking all your medical records and insurance paper will also help if you need to go to see a doctor during your holidays. Taking all your comfortable clothes and essentials are even more important when you travel during pregnancy. Choose your most comfortable shoes or trainers and clothes to take, especially if you planning to do lots of city walking. Sandals and flip flops will be the best choice for hot countries as your feet are more likely to get swollen. Try to avoid high-heels and pack a pair of smart ballet flats instead. Maternity leggings are very convenient- comfy to wear all day, take very small space in your luggage and you can just easily style it with a long top or dress. It is also good to take some of your favourite pregnancy snacks (fruits, nuts, cereal bars, crackers) with you to avoid any hunger.Along with snacks, always carry a bottle of water with you to stay hydrated. Carrying an antibacterial gel or spray is great and easy way to keep away all the bad bugs. When travelling, it is always great to try new variety of dishes, flavours and ingredients. However you should still avoid all food, which are unsafe during pregnancy. If you have any meat or fish dish, just make sure it is cooked completely, and if you are unsure, just don’t eat it. Avoid any dishes with raw eggs or unpasteurised milk. And to be on the safe side, avoid stall foods, which can contain unwashed fruits or vegetables. Avoid tap water and always choose bottled water instead. Keep hydrated and have a bottle of water with you all the time.